This entry was posted in Photos, Quotations and tagged beach, J.K. Rowling, ocean, photos, quotation, sunset, waterfront. Wave is the story of a young girl’s day at the beach. The girl appears with a flock of seagulls and at first she is hesitant to go into the water. The girl and seagulls are in charcoal grey on one page and the ocean waves are blue watercolors on the adjacent page. Soon the charcoal and watercolor combine as the young girl has fun in the ocean. Finally, one huge wave causes the girl to get swept away onto the shore. She leaves the beach in a blue dress as a part of the ocean always stays with her. I thought Wave had a simple storyline, but the drawings add depth. I love how her day begins boring and grey then splashes of blue are upon her as she plays in the ocean. 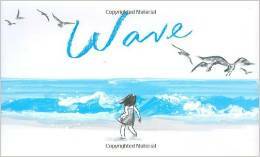 Wave is a good wordless picture book for younger ages, since the plot is simple. All ages will enjoy the illustrations and colors. 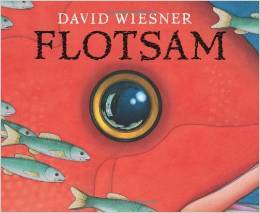 This entry was posted in Book Review, Picture Book, Wordless, Wordless Picture Book, Wordless Wednesday and tagged beach, Book Review, picture book, Suzy Lee, Wave, wordless book, wordless picture book. This entry was posted in Photos, Quotations and tagged beach, E.E. Cummings, laughter, photos, quotation, waterfront. I realize I’m a week late for this photo challenge, but I didn’t have time to post it. 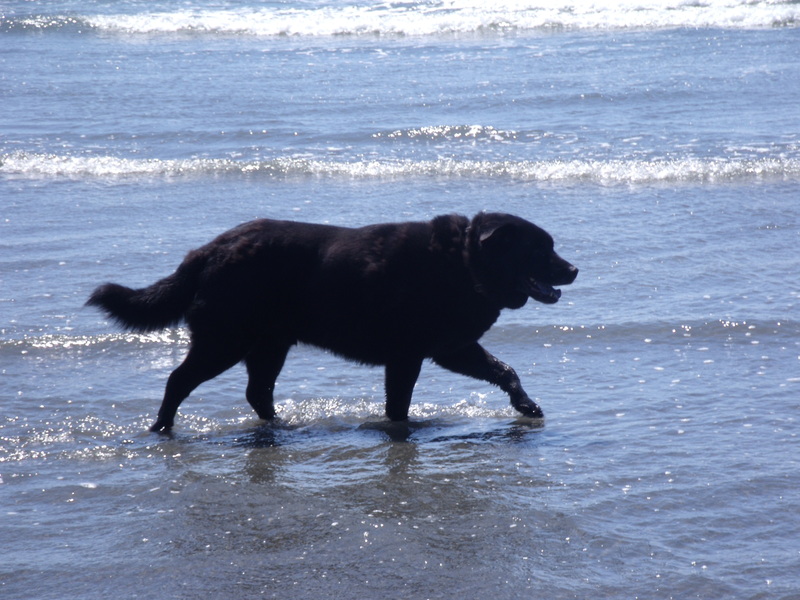 Here are some photos of my dog, George, enjoying the beach at Kalaloch in Washington. Normally, he doesn’t like water but he kept walking out to play in the waves. Click HERE for more sea photos. This entry was posted in Photos, Weekly Photo Challenge and tagged beach, dog, Kalaloch Beach, nature, ocean, photos, sea, weekly photo challenge.